New King of Comedy 新喜剧之王, one of the Chinese New Year offerings in the local cinema circuit, I would say, is not a sequel to the 1999 Hong Kong movie King of Comedy. A remake, may be; The 1999 comedy drama follows the trials and tribulation of an aspiring actor played by Stephen Chow and introduces Cecelia Cheung as his love interest. The new version tells the story of a young aspiring actress instead, played by Chinese actress, E Jingwen; and there isn't a love interest at all, not even a hint of it. 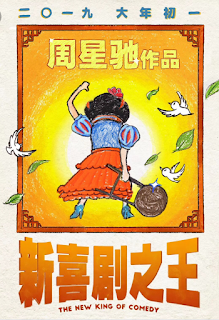 The movie directed and written by Stephen Chow has his trademark 無厘頭 Mo lei tau nonsensical type of slapstick which still draws laughter from the audience and while the movie has just a simple story, it's still a pleasant watch. My nephew, an avid fan of Stephen, thought the movie would make a tidy profit considering its low butget and it did. Chinese New Year will be celebrated on 5 February this year. 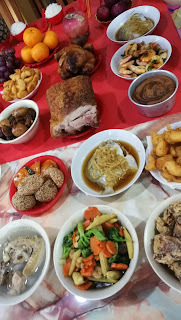 It's the year of the pig but whether it's the year of the pig or not, many will pig out on Chinese New Year eve when family members gather to have a reunion dinner. 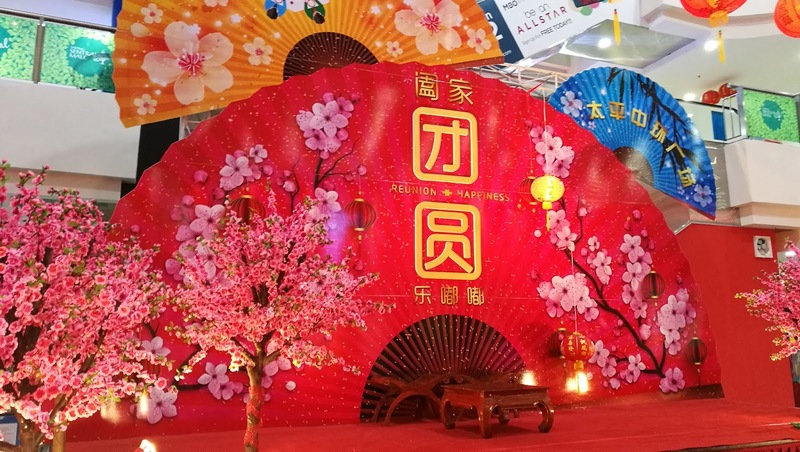 A reunion dinner is an important aspect of Chinese New Year. Traditionally, every Chinese, young and old, male and female will make it a point to return home to have dinner with family members especially when the parents are still alive and present. The grandparents, great great grandparents, even if deceased, are not really forgotten. There's a prayer dedicated to them and a feast, too. I suppose it is a known fact that Chinese practise ancestor worship but it's not the worship accorded by a man to a God as some may be led to believe. It's more to cherish the memories and pay respect to loved ones long gone. I suppose on Chinese New Year, one can wish everyone, the departed too, a happy and prosperous New Year. 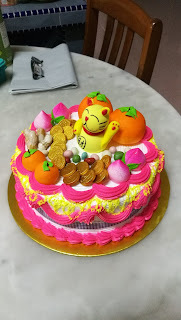 Gong Xi Fa Cai!